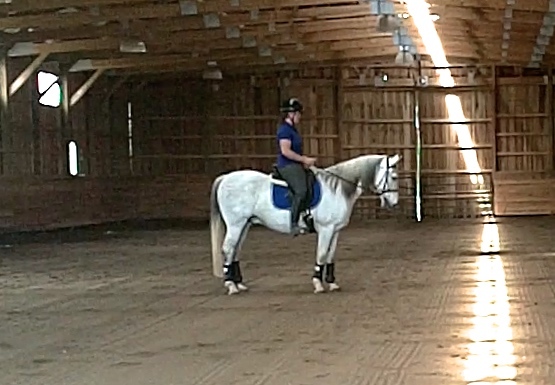 My lesson rides have felt great lately, like I am just on the verge of making a big move. My solo rides on T, however have been pretty lackluster lately and I just can’t seem to find our groove. I am optimistic that things will click again shortly…but I’m feeling just a little impatient about it. 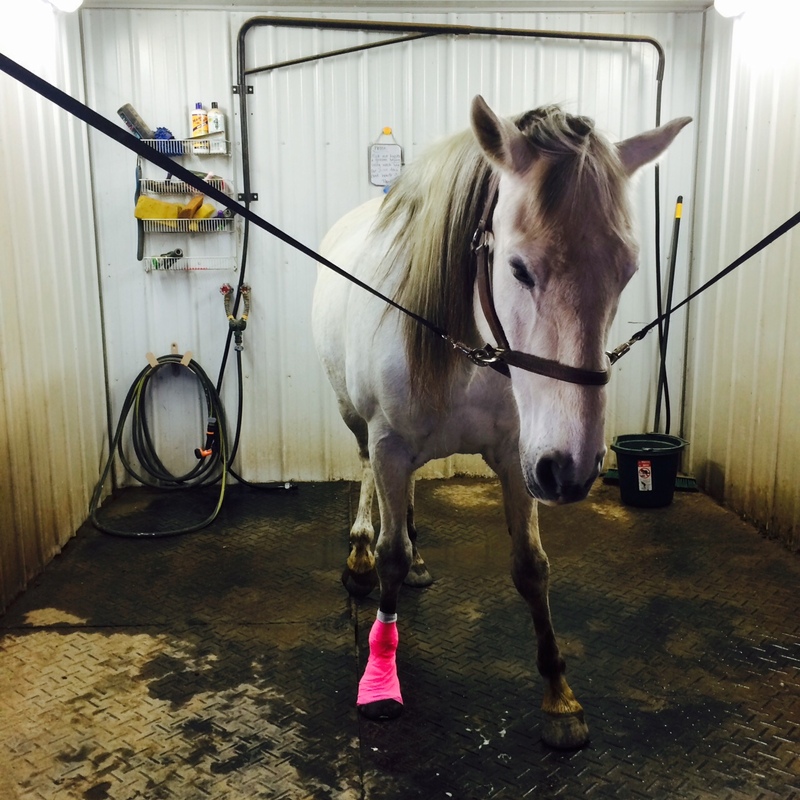 His owner has been hyping how fabulous he will be now that he got his pastern injected for some relief of an old injury and now that he’s got shoes all around. 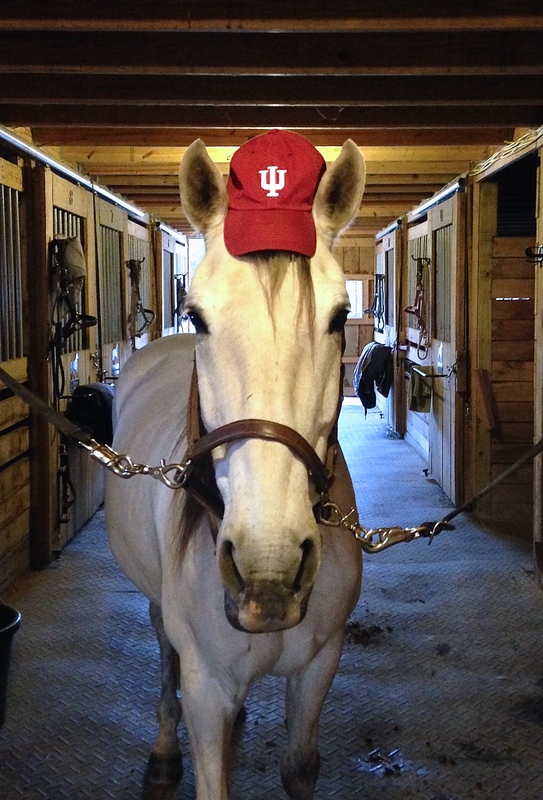 She said he’d feel like a new horse and I guess I bought in. Maybe I’ve just been unlucky and my rides were on days where for whatever reason he wasn’t feeling it. As soon as we have that next good ride, I’ll know that’s what it was- but for right now, I’d rather have the old Tyco. He’s looking pretty good lately after finally shedding his winter coat. He’s still delightfully plump but looking much more sleek these days. I picked up a trot out of a nicely balanced walk and things felt kinda rough. I assumed he was just stiff so I asked for a little bigger trot along the rail. He got his coughs out and took a few nice strides in a row so I thought we were going to be good. 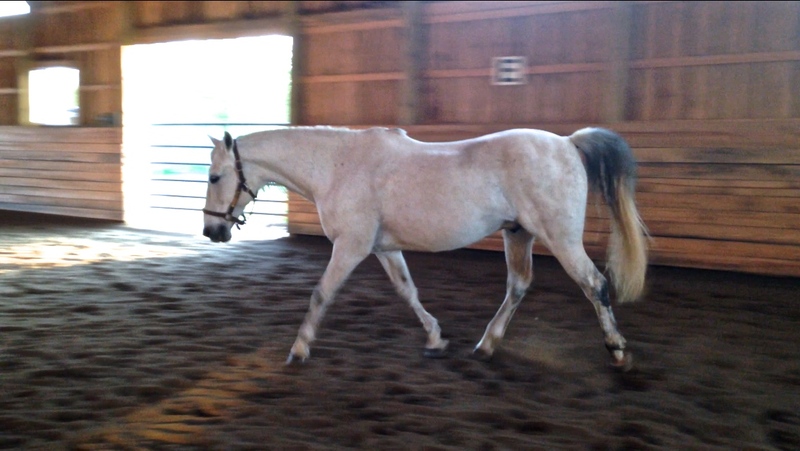 We walked a little more and trotted again. It still felt rough- almost like he was taking a canter stride every once in a while with his front end. 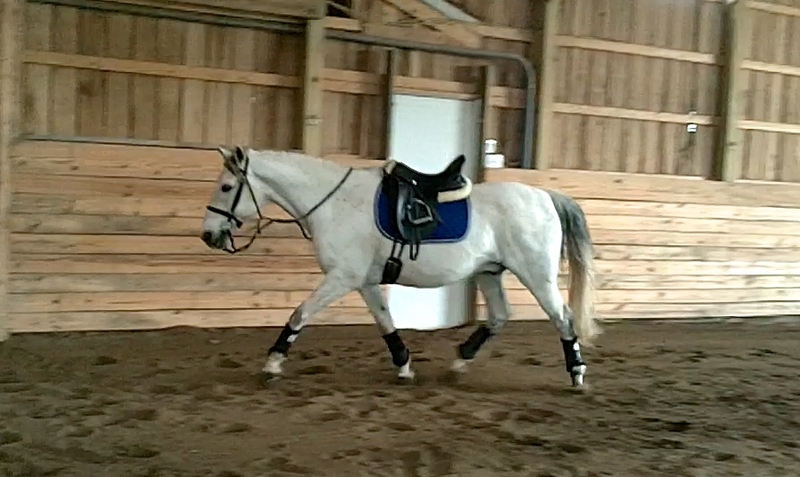 I trotted around, switched directions, hoping we would find a rhythm but he kept throwing in those weird steps. 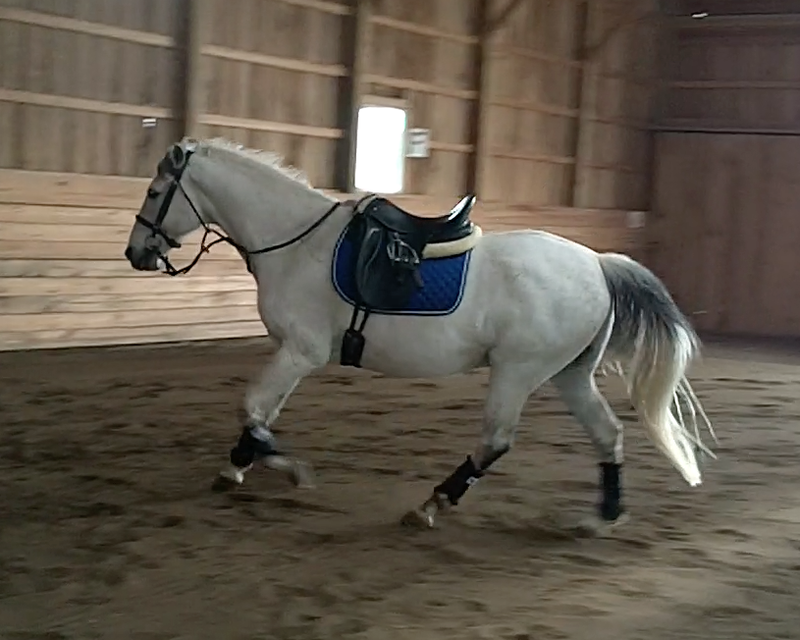 Finally I decided to get off and free lunge him around to see if I could actually see what was happening but of course he looked great without his incompetent rider. Things don’t look very good going to the right, so I know there is a good amount of crookedness left to work on. Everything looked normal to me for the most part. He did stumble a couple of times usually in a downward transition. Could he still be getting used to his shoes? 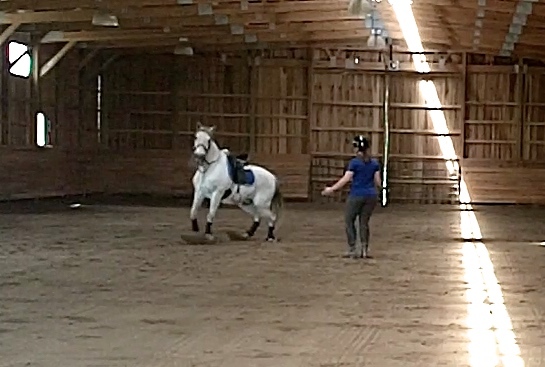 He’s not a clumsy horse. Here he is rolling his ankle and almost taking a giant digger. I get to ride him again on Tuesday so I’ll be looking forward to a positive ride. His real mom works at Butler and he’d like it stated for the record that he was coerced. he looks great in blue! 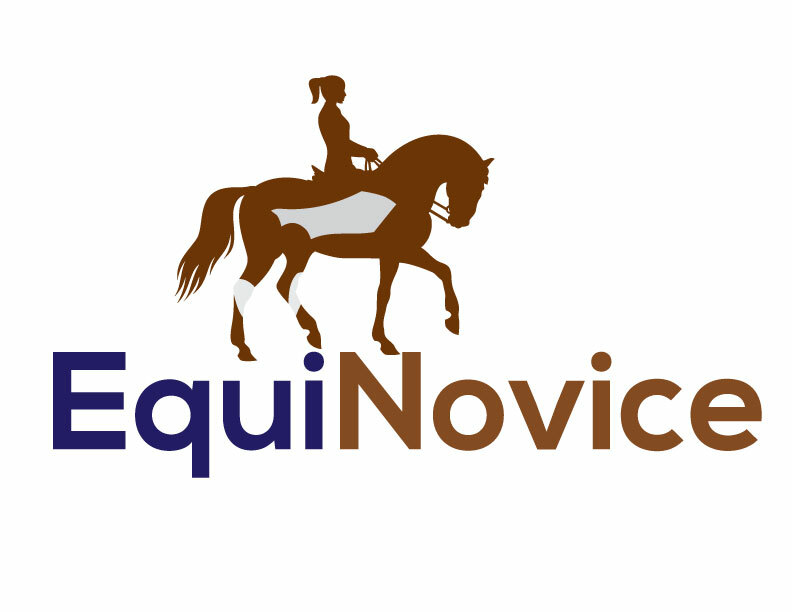 bummer that there are still concerns about him being nqr – hopefully your next ride feels miles better! I hope so too! I’m sure I’m just being neurotic. I just bought that blue pad for him and I love it! It’s one of the coolmax lined pads and we tested it on a pretty hot day- I think it really helped!